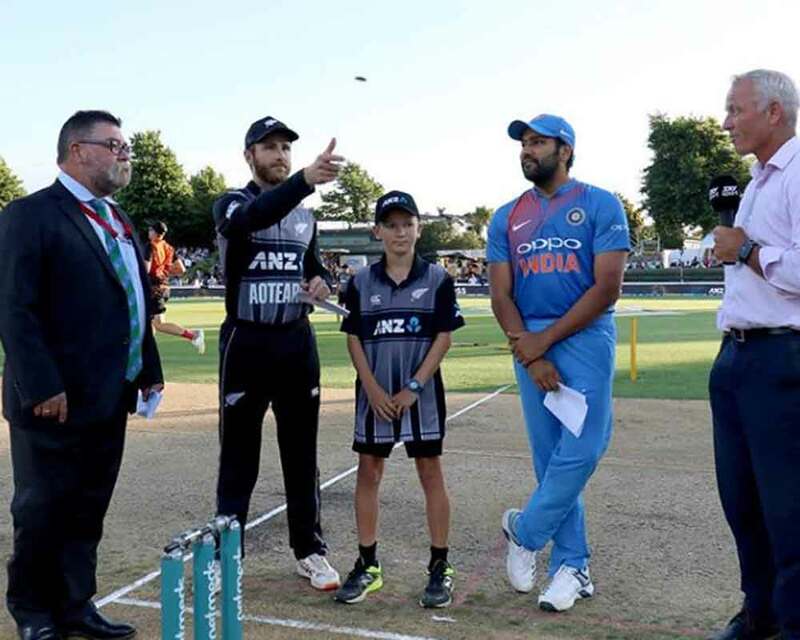 Indian captain Rohit Sharma won the toss and opted to bowl in the series-deciding third T20 International against New Zealand here on Sunday. India made one change with Kuldeep Yadav coming in for Yuzvendra Chahal. New Zealand also made one change with Blair Tickner replacing Lockie Ferguson. India: Rohit Sharma (c), Shikhar Dhawan, Rishabh Pant, Vijay Shankar, Mahendra Singh Dhoni (wk), Dinesh Karthik, Hardik Pandya, Krunal Pandya, Kuldeep Yadav, Bhuvneshwar Kumar, Khaleel Ahmed. New Zealand: Kane Williamson (c), Tim Seifert (wk), Colin Munro, Daryl Mitchell, Ross Taylor, Colin de Grandhomme, Mitchell Santner, Scott Kuggeleijn, Tim Southee, Ish Sodhi, Blair Tickner.